Hi again, blog friends! I'm up with another post tonight for the Hip Kit Club! One of my favorite type of cards are those that can be used for everyday encouragement. My hope is that one day I will have a child that I can tuck cards into a backpack, lunchbox or put on their pillow... letting them know that I am thinking of them when they have a big test or reminding them of how wonderful they are when they might be struggling. Those are the type of cards that I created today! For my first card I got a little artsy, creating a watercolor background with mists & painting the chipboard sentiment with a paint dauber. This sentiment could be used for SO many purposes...a birthday, a big test or big game... anything that might be important for the day! 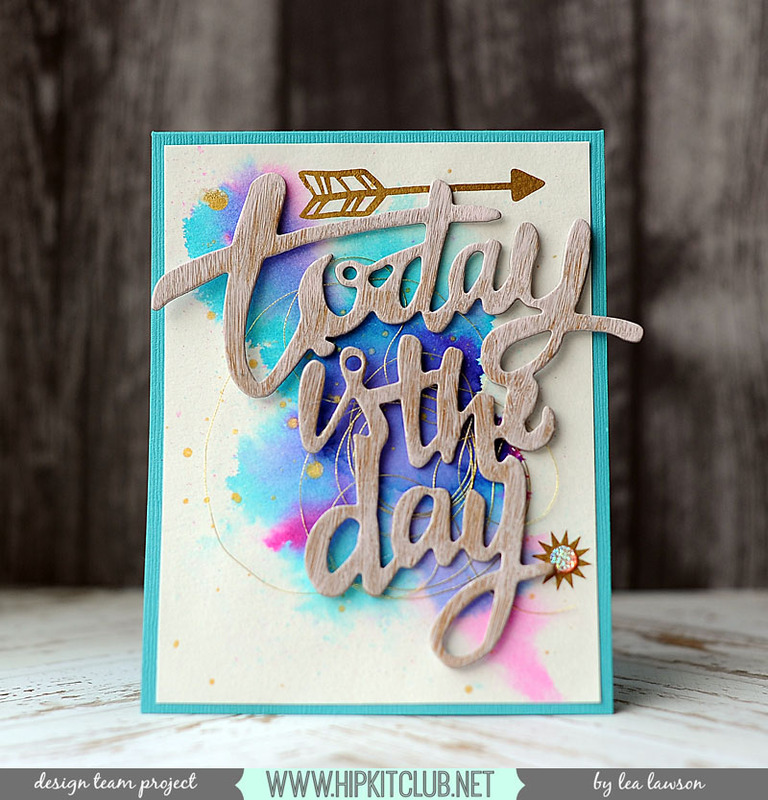 To create the watercolor background I used the mists included in the February Color Kit, and just swirled them around on a wet block of watercolor paper until it looked how I wanted it. I LOVE the bold colors, and the beautiful purple that was created by mixing the two mists. After drying, I spritzed it with a little bit of gold mist from my stash. While it finished drying, I painted the chipboard sentiment with the shell pink paint dauber also included in the color kit, & let it dry. Once everything was ready, I adhered the watercolor block to an A2 card. I added a tangle of gold thread to the middle, then adhered the chipboard sentiment over top of it. I added a couple gold rub-ons from the February Main Kit, and then accented it with a little sparkler from my stash as well! My next card is a different style, but still of the encouragement theme. I've used items from the February Main Kit & the Embellishment Kit to create this one! 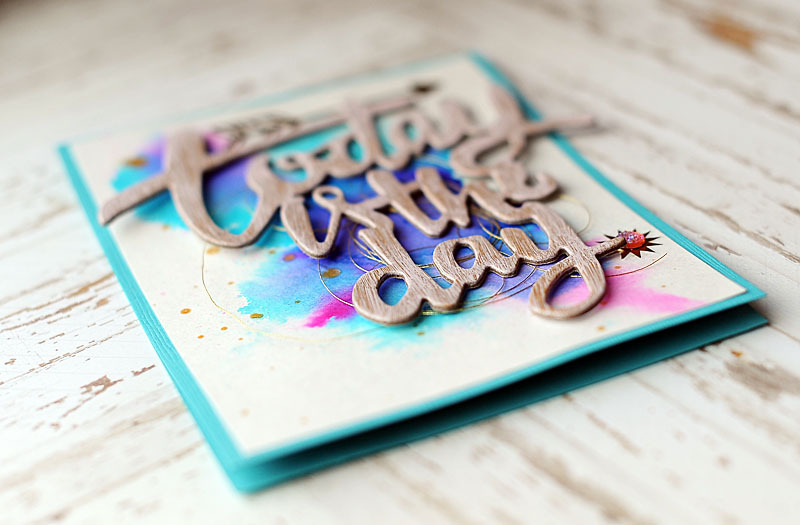 I started this card by adding a block of that fabulous script paper to an A2 card base. 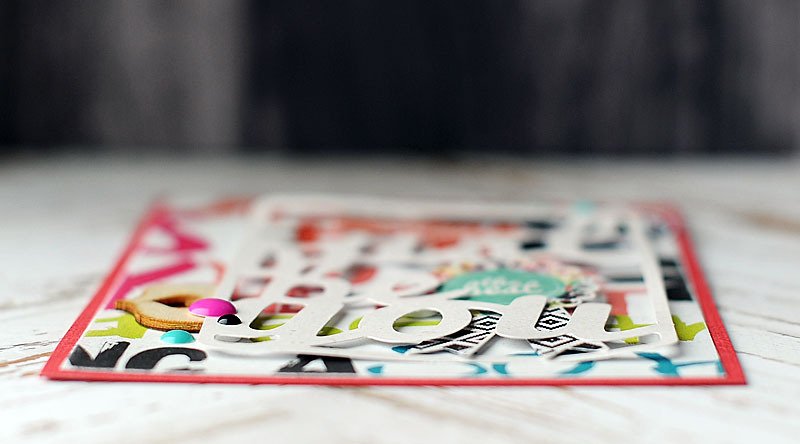 After that, I just layered diecut goodies, wood veneer & enamel dots to portray my sweet message!! It's really as simple as that. The card might seem more complicated, but it really isn't! 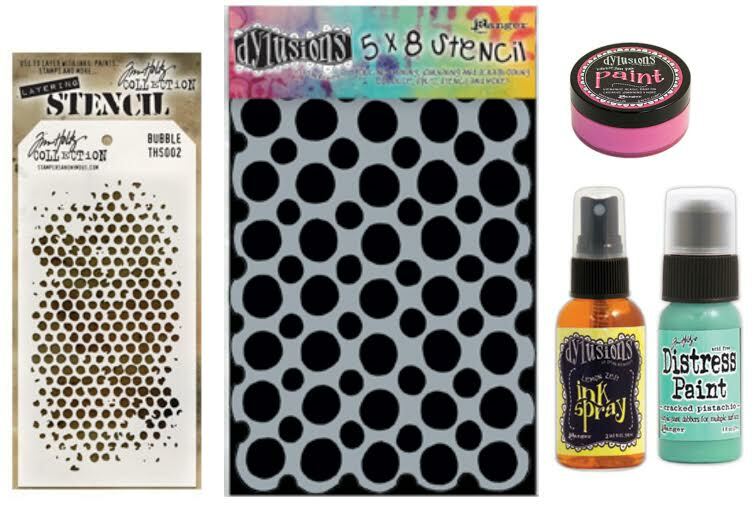 Just use a combination of flat & foam adhesive to give it some dimension! 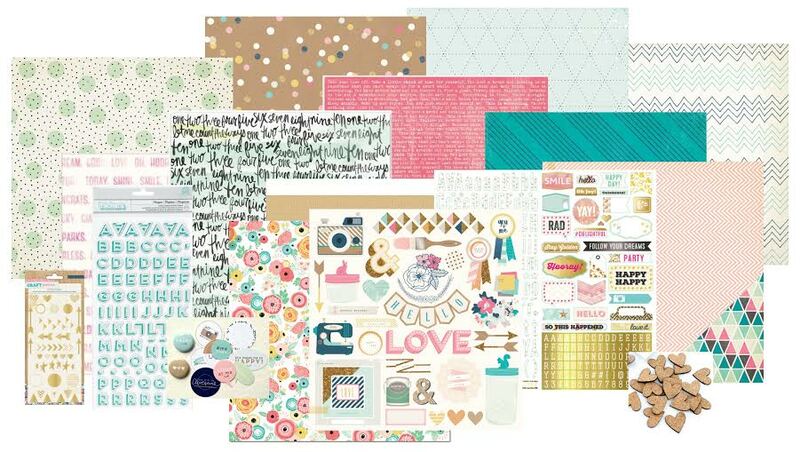 The Hip Kit March 2015 kits are up, and they are amazing!! Here is a peek at the ones I will be using! And we are also introducing a new add-on kit! I will not be working with this one, but it is pretty awesome! 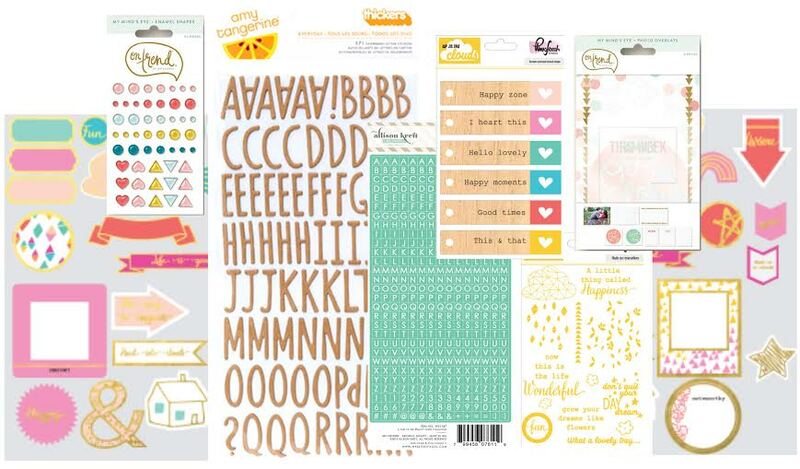 Be sure to head on over & pick up the kits that you want to work with, and join in on the fun with us!! 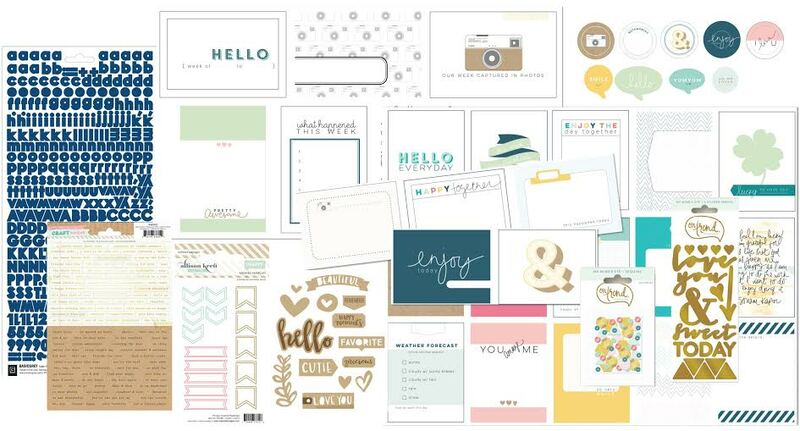 We chat & share projects with each other at the Hip Kit Club Member forum & gallery on Facebook, and we would love for you to jump in & play along with us and the kits! That first card is so cool, LOVE! Wowza!! Lea, your cards are truly, amazingly, absolutely wonderful!! !